PayPal is a great entry level solution for small businesses wishing to explore online payment. They let you use their SSL certificate which means you do not have to set up https for your site. PayPal is well known and widely used because of eBay. This is a big plus. The thing I like best is using PayPal for secure debit card payments. 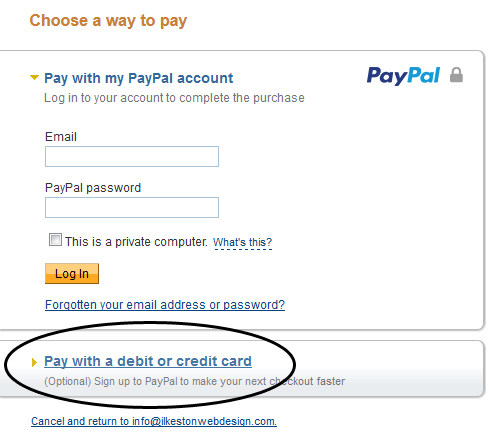 Make no mistake – your customer does not need a PayPal account to pay with their card. You are just using the PayPal gateway to process the payments securely. As part of my web design business, I created a YouTube video for clients, explaining how to use the PayPal card payment gateway. If you’re interested in seeing how I’ve set these buttons up, check out this link and this link. Scroll to the bottom of those pages and you’ll see payment buttons. Your business model may be one that offers regular services, taking recurring payments. If this is the case, your client might have already set up a monthly standing order, but another way to take payment regularly is by using the direct debit recurring payments functionality with PayPal. These automatic payments will debit your client’s account how ever often you want. A receipt will be emailed to the client every time a payment is successfully debited. You can create your buttons in the PayPal dashboard. The video below demonstrates recurring payments. In this quick tutorial, I show how you can either create direct debit subscription buttons, or create a direct debit email link instead. If you’re selling your products/services using PayPal’s payment functionality, you will need to use PayPal Premier or PayPal Business. Personally, the Premier account has been just fine for me. Read about these two types of accounts on the PayPal website. 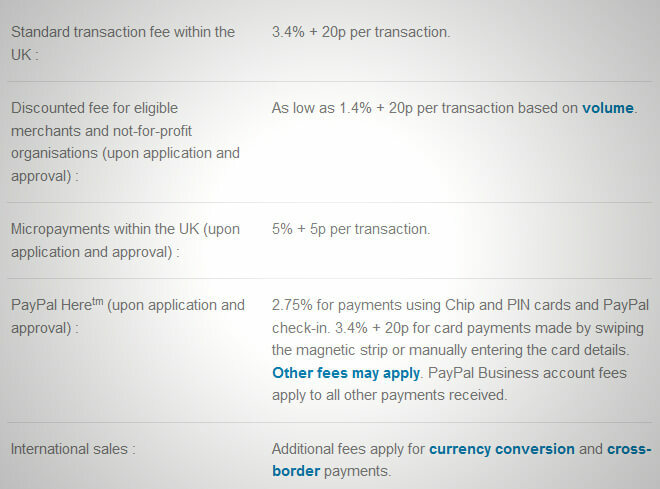 In the UK, PayPal Premier deduct 3.4% + 2op. It is possible to convert your PayPal account to MicroPayments status. This is useful if you sell products/services under a certain price threshold and the fees are 5% +5p. Check out the PayPal fees for more (scroll to the bottom of the link).